By Michael Smerconish | January 5, 2018 President Trump’s public handling of the nuclear threat of North Korea has been bellicose, intemperate, and impish. He has treated an adversary with nukes as if the two were teenagers on a Queens playground. But might his “strategy” be working? However, in the last week, North and South Korea have been in communication about both the Olympics and borders. Yesterday, the U.S. and South Korea declared that they will not perform military drills during the Olympics, a sure sign of warming relationships. And, last night, the big news: South Korea and North Korea officials will have their first major peace talks in over two years. These substantive successes – against the backdrop of escalating tensions during the Obama and Bush years - begs the question of whether Trump’s approach is working? It’s a question I first raised in October when an afternoon workout was interrupted by a test of the emergency broadcast system on CNN. I’ve been accustomed to these notifications since I was a kid. But this time, unlike any test before, I wondered if it were real. Two days prior, North Korea had threatened to shoot down American warplanes even if they were not in the country's airspace. North Korea's foreign minister said that President Trump's comments suggesting he would eradicate North Korea and its leaders were "a declaration of war." Maybe, I thought, that moment had come. It hadn’t, thank God, but Trump continued to treat Kim like a campaign opponent. As a candidate, Mr. Trump branded his opponents: “Low energy Jeb”, “Little Marco”, “Lyin' Ted”, “Crooked Hillary”. The strategy was intended to reach an audience of voters, and those high school-like insults worked for candidate Trump. However, there’s a big difference between using this approach in a campaign and doing so as the leader of the free world. In the case of North Korea, President Trump is playing to an audience of one - Kim. And that audience happens to have nuclear weapons. “Rocket Man” actually has rockets. Perhaps Trump’s motivation stems from thinking that years of sanctions and the international equivalent of “double secret probation” have been unsuccessful. Early on, Trump’s style apparently perplexed the North Koreans. There were reports in the fall that North Korean government officials had been quietly trying to arrange talks with Republican-linked analysts in Washington, in an apparent attempt to make sense of Trump and his confusing messages to Kim's regime. This acting-like-a-child ploy might actually work well on Kim. Obama and Bush were nothing if not predictable in their handling of North Korea. Trump’s inconsistency and willingness to talk about war – quite recklessly – might have Kim on his feet, looking for answers out of fear. Trump never lets a Ronald Reagan comparison go unnoticed. Maybe Kim’s willingness to deal is reminiscent of the Ayatollah releasing the American hostages just as the Gipper was being sworn in? Of course, there could be several other explanations for the recent progress on the Korean peninsula that have little to do with Trump. 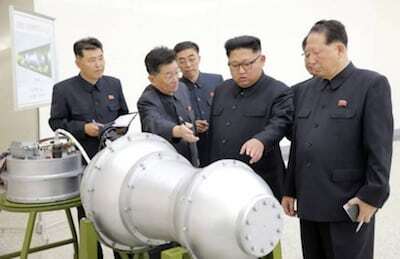 The first and most obvious is that Kim successfully built a nuclear arsenal. Whether Trump wants to admit it or not, North Korea can wage nuclear war. With that ability comes a large degree of security, especially in a relationship with a non-nuclear capable neighbor. It’s also possible that China (or Russia) has gotten Kim’s attention and positively influenced his behavior. Even if Trump has contributed to Kim returning to the table, the emasculation approach is a risky proposition. Some of this strategy could be planned by the impressive generals that surround Trump. But it feels to me like he’s spit-balling too much of what’s been happening. Trump refers to Kim with a pejorative nickname. Trump tweets at him much like he did Hillary Clinton. And Trump taunts him in a way that makes everyone pay attention to the situation. It seems foolish. And dangerous. International conflict is complicated enough without early morning tweets driven by personal ego. Then again, maybe absurdity can help corral North Korea for a time. I do worry that time will eventually run out. If the president talks tough and doesn’t deliver – like Obama did by drawing a red line in Syria – it will be impossible to tell when he’s bluffing. And if Kim misreads Trump, he might be goaded into launching a missile strike that could lead to war. Whatever the reason for Kim’s recent willingness to engage with South Korea, here’s hoping it bears fruit, and fast.